Just starting the build and already have a question. Wondering what to do about the axle. The edge of the tire is roughly 7 inches from the frame on both sides, and I think it looks kinda funny. Question is, do I just leave it like it is and just make my own fenders to fit it? Or do I cut the axle, shorten it, and weld it back together? Any feed back would be appreciated. I think about 1 to 1.5 clearance from anything is what you want. It’s more than cutting the axle and taking out a section. You’ll also need to weld on new spring seats since they won’t line up with the frame if you cut the axle in the center. For the amount of jigging and welding you might just order a shorter axle. I just got a Dexter 3500lb axle for about $115. All I need to weld is the seats which should be easy. Sweet looking trailer, btw. My trailer is 5’ wide. I needed to go with a 72” face-to-face measurement. Eastern Marine carries them in more sizes than most places. kramergwt wrote: I think about 1 to 1.5 clearance from anything is what you want. It’s more than cutting the axle and taking out a section. You’ll also need to weld on new spring seats since they won’t line up with the frame if you cut the axle in the center. For the amount of jigging and welding you might just order a shorter axle. I just got a Dexter 3500lb axle for about $115. All I need to weld is the seats which should be easy. Just build wider and fill the space. thanks for the replies. Found the axle, springs, wheels and rims online for $100 and didn't think to measure the overall length of it. Kinda knew the space I have was a little much but just wanted to get other opinions. Also the spring seats never were welded on the axle. Guy I bought it from had intentions of building a utility trailer with it but never did. Cutting and welding wouldn't be that big of an issue, I don't think. 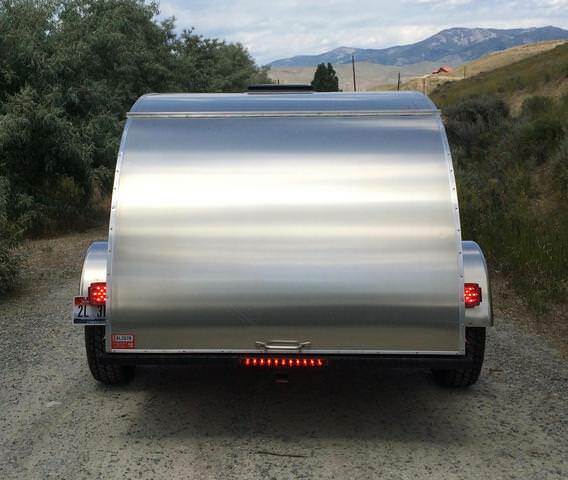 kramergwt wrote: Sweet looking trailer, btw. My trailer is 5’ wide. I needed to go with a 72” face-to-face measurement. Eastern Marine carries them in more sizes than most places. Thank you, so far I've only got $230.00 in it, helps that I used to work at a fab shop to be able to get steel cheap. Trailer is 5' x 9'-6" gonna be a benroy, hopefully, here in the next couple months. Hope to have it campable by the end of April. Is changing the wheels a possibility? You could just build out from frame. With that room you can change rims to a wider Jeep style or ?. What many wish they could do but have to narrow a frame to do. If you are confident you could cut it down and maintain the right camber etc, that would probably be the route. 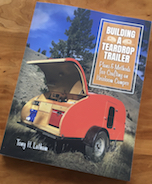 There's a reason--based on nominal material dimensions--that teardrops are commonly built 4' and 5' wide. And I'm in the camp that having a teardrop wider than 5' is too much. 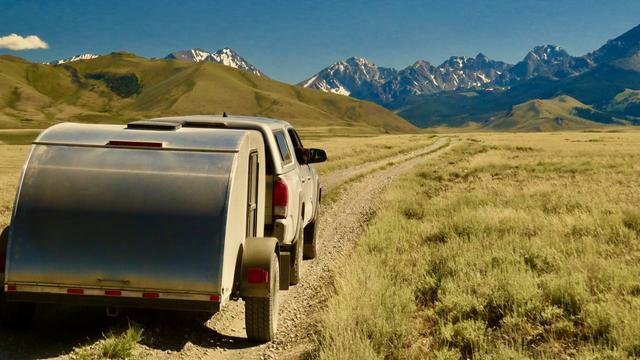 Towing a queen bed to a campsite is perfect. Yea I've already built the frame for the floor and have it insulated. Built it before I tried mounting the axle, so that option is out. Changing the wheels is an option that I hadn't thought about. Well guess this shows the route I decided on. Didn't feel like redoing the floor framing or searching for more wheels. So here go nothing, worse I can do is screw it up and have to buy another axle right. Since you've already cut your axle tube, remember to insert a smaller tube (of just slightly smaller size) inside it, before you weld it back together. Then, you can drill thru the outer tube on both sides of the new weld, and rosette-weld the two tubes together; or drill all the way thru both tubes, and bolting them tightly together with grade-8 hardware. The resulting inner-tubing will make it much stronger, and the welded/bolted inner tubing will ensure that the joined halves of the shortened axle, will not come apart very easily. If I were to do this, I would bolt and weld in two spots each (but that's just my way, over-doing it). Unfortunately I've been doing the welding thing over 25 years. Didn't put sleeve on inside, put it on the outside. Main axle is welded 100% and then sleeve slid over it and welded on both sides. Looks real good. I envy your welding experience, which I lacked, but had to quickly acquire, for my emergency repair/reinforcement of my trailer frame and entire suspension.When I replaced my undersized (1.25" square tubing), rusted, bent axle with a new 3500 lb Dexter (w/brakes, new springs, hangers, & hardware), I had already investigated cutting off the old spindles (with their larger than stock bearings and hubs, that I used to convert the four-lug, 8" wheels to handle five-lug 14" wheel), and inserting the stubs into a thick-walled square-tube replacement. I was thinking of just bolting in the cut-off stubbed spindles, after insertion into the larger tubing (I planned to cut them 18" long, with all the rust sanded off first). But when my original spring hanger tore loose, or when I first noticed it, I only had two months before I was going to camp again, so I decided to bypass the interim quick-fixes, and do it right (or as close as I could!). I spent many long hours planning/designing, checking dimensions and acquiring the proper materials, then welding, grinding, and doing it all over again 'til I made my repair assemblies as good as I possibly could, then I had them checked by a pro welder, at work. I finally could install the Dexter axle, three years after I started my build, and many miles since it first travelled, in 2013. I had been very lucky, to have no catastrophic failure on-road, using such a sub-standard original axle, or any interim solution?, but certainly would've, if I had ventured off-road, as was/is my long term objective. Your axle modification looks to me, a capable solution to your problem. Good luck with your build! rebeltp wrote: Unfortunately I've been doing the welding thing over 25 years. Didn't put sleeve on inside, put it on the outside. Main axle is welded 100% and then sleeve slid over it and welded on both sides. HAHA Dale yea I know. I just grabbed a can and sprayed. It'll be right when I'm done.